Today I am going to tell you about a really great mascara I have been using recently. I don't know what it is but for the last 6 months or so I've been really into super huge lashes, without having to use actual lashes. Get me? I even have a little mascara routine, however, that was very much shaken up when I got Soap & Glory's Thick & Fast HD Mascara as a Christmas gift. 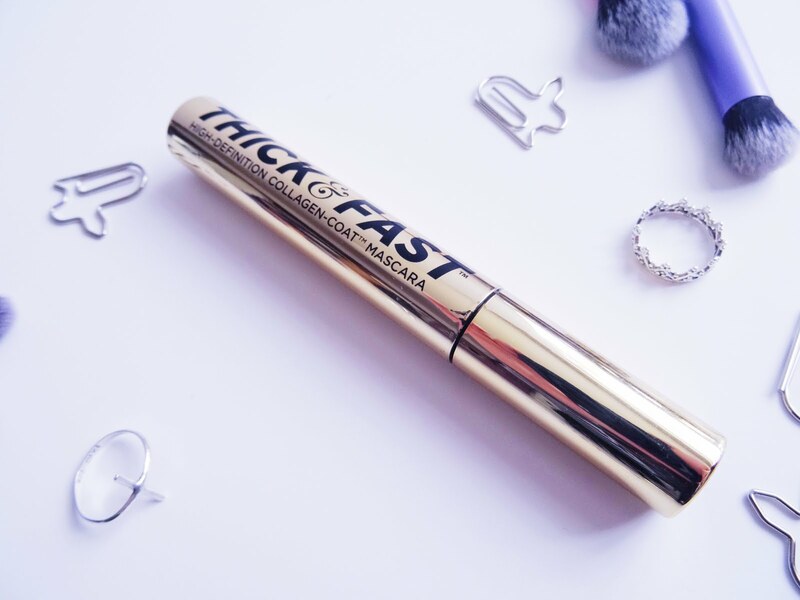 I actually already own the Thick & Fast Mascara by Soap & Glory, so I was looking forward to finding out what the difference would be, and what I ended up preferring. First things first, what's this mascara's selling point? Well, Soap & Glory say that is has a '7-sided fan flare 180 brush with a V-groove'. Bit of a mouthful isn't it! They also say that this product features 'strength-building collagen pre-peptides, long stretch polymers, and a no flake24 all-day wear technology'. Well that definitely was a lot of words, wasn't it? Basically, it has a fancy brush, and is meant to do a darn good job of your lashes. Do I agree? Yes. I do. As I said, I had a pretty concrete mascara routine in place before I got this one, where I would build up layers from several different brands until I had super huge lashes. Now, I don't have to do that! What I love about this mascara is yes, the brush. I love how it has different length bristles on each side, I like to rotate it as I'm applying, almost as if I first comb through and then add an extra layer of volume. It's also really handy when using the shorter side for bottom lashes too. I've found that I can easily wear this mascara by itself, I just do two coats and bam, I feel sufficiently 'masacara'd' up to face the day. My lashes look full, a lot longer, and don't feel rock hard and crispy either. Who wants that? Overall, if you're thinking of getting a new mascara any time soon, I'd definitely give this one a shot! 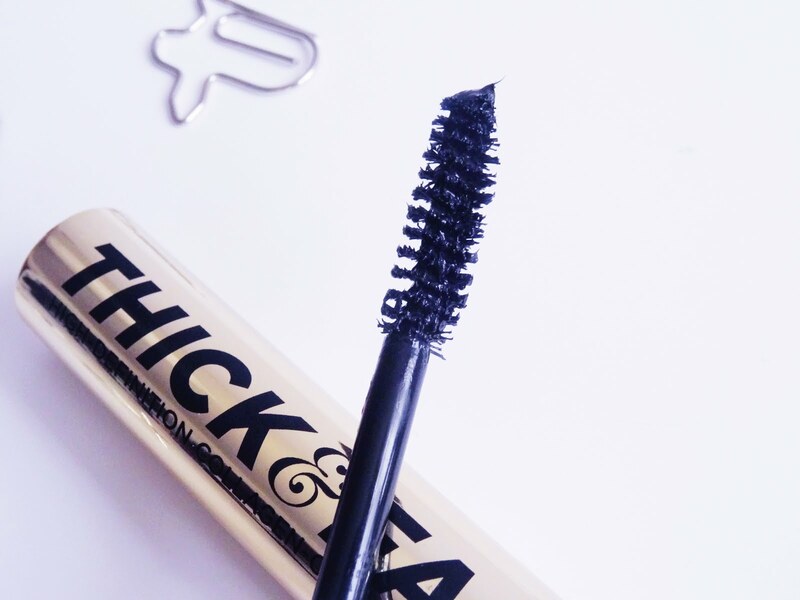 As for the original Thick & Fast Mascara, I still love it, but this one is my new fave. What do you think? Have you tried this mascara? Let me know what mascara you've been addicted to lately!